Item # 295410 Stash Points: 3,995 (?) This is the number of points you get in The Zumiez Stash for purchasing this item. Stash points are redeemable for exclusive rewards only available to Zumiez Stash members. To redeem your points check out the rewards catalog on thestash.zumiez.com. Keep the power of the All Seeing Eye at your fingertips or in this case, at your knuckles. 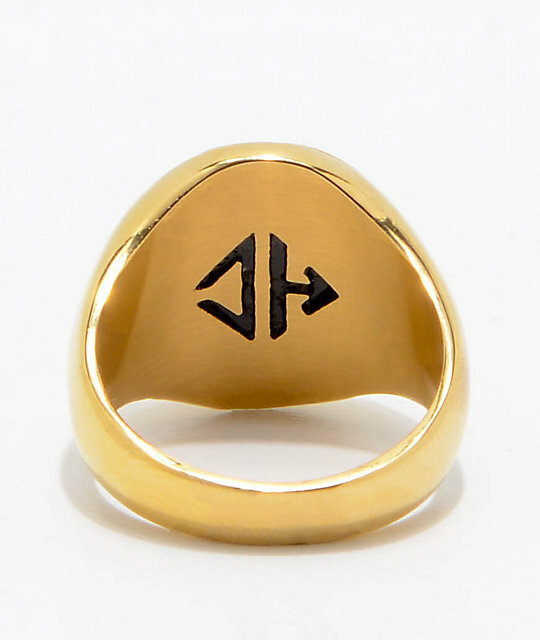 The All Seeing Eye gold ring from Han Cholo features a textured triangle with the All Seeing Eye at the center within a round antiqued face on a gold plated stainless steel base. 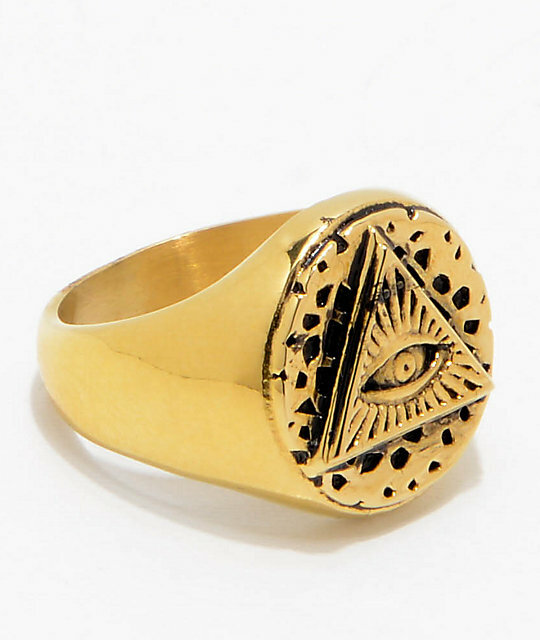 All Seeing Eye Signet Ring from Han Cholo.